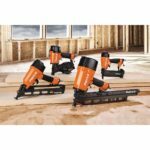 As has been the case with Harbor Freight as of lately, they’re upping their game in several categories of tools with the latest upgrade coming to their offerings of welders. The new welders under the name Titanium appear to be aimed at the prosumer metalworking market and have features and price to match. 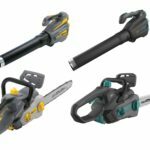 My thoughts: in recent years Harbor Freight’s welder options have been fairly slim, until the addition of their Vulcan line about a year ago, and now the range gets even wider with these new Titanium brand machines. 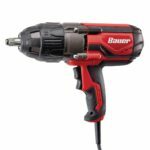 There’s currently only 3 in the lineup however they all share certain features and design elements such as inverter technology for better arc start, tool free wire change, and the ability to run a spool gun with no adapters. Welding capacities: Steel: 24 ga. – 5/16 in. ; Aluminum (with optional spool gun) 16 ga. – 3/16 in. 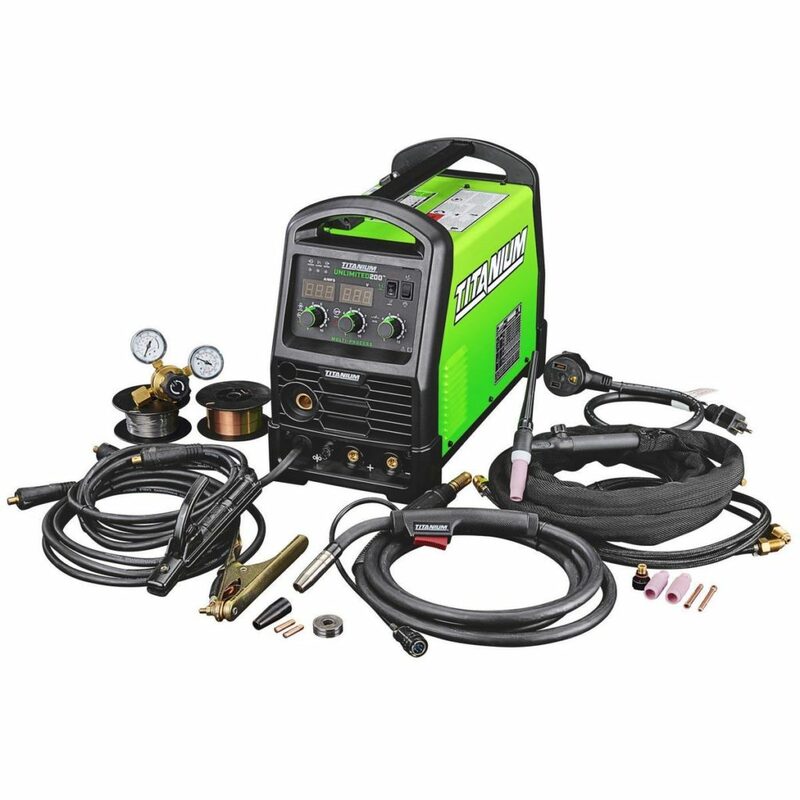 Welding capacities: 120V; Steel: 24 GA – 1/8 in., Aluminum**: 16 GA – 1/8 in., 240V; Steel: 24 GA – 3/8 in., Aluminum**: 16 GA – 3/8 in. 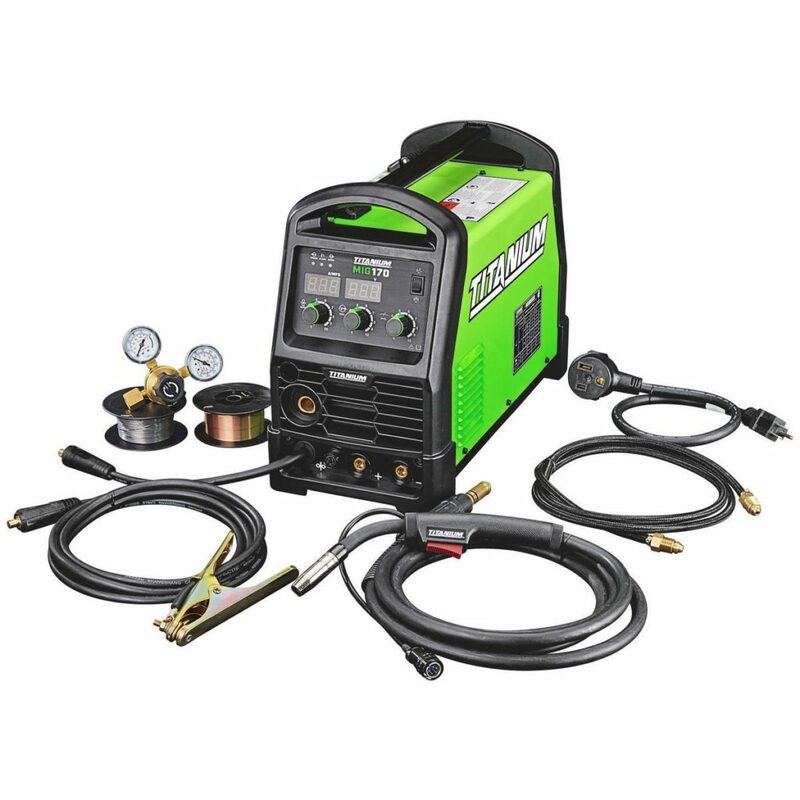 Welding capacities: 120V; Steel: 24 GA – 1/8 in. 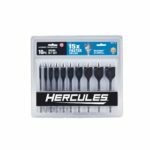 ; Aluminum**: 22 GA – 1/8 in.240V; Steel: 24 GA – 3/8 in. ; Aluminum**: 22 GA – 3/8 in. The problem so far with my MIG 140 is there is no Spool Gun available as of 2/13/19. I called HF Hotline and they have no info on when it will be available, yet it’s posted all over their ad as well as owners manual that it’s an optional purchase item. 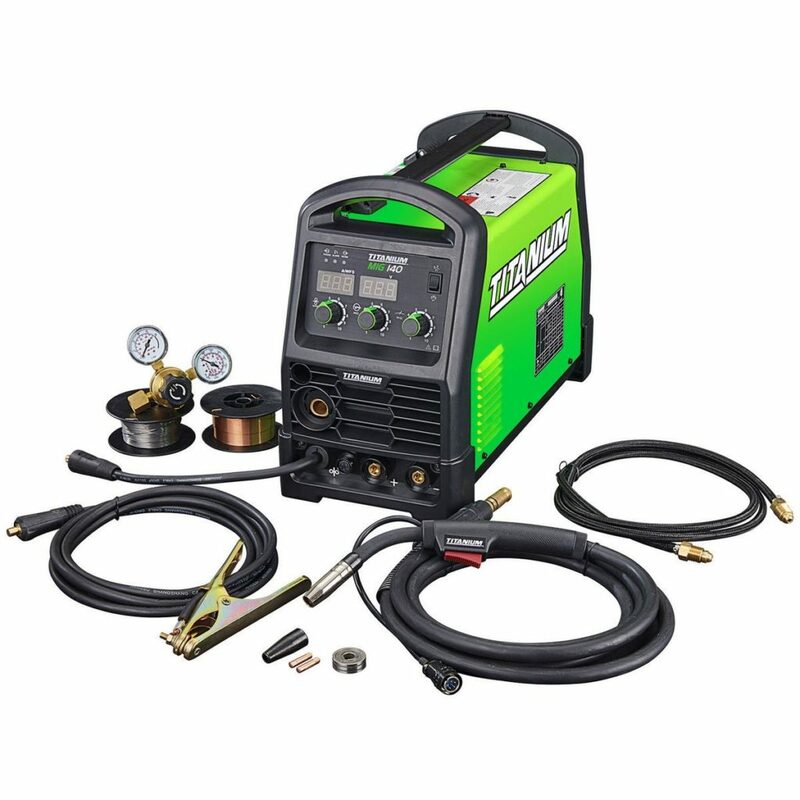 i have this welder and purchased a spool gun that works with 140 version amazon carries it. Type in “spoolgun hit” hope this helps!! I’d love to know exactly which gun you got. Can you get me the brand name? I would also love to know the brand name of the spool gun you bought. Is the GTAW High Frequency Start on the multiprocess welder?